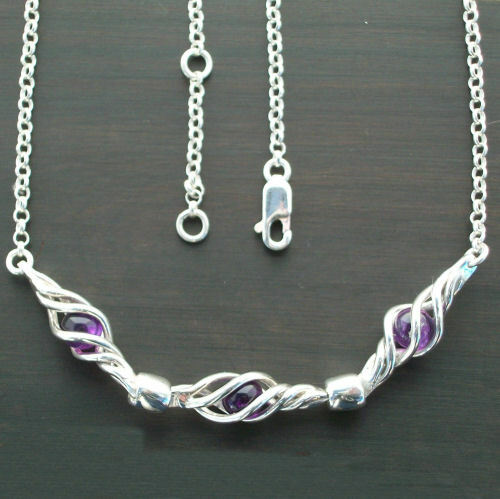 Sterling Silver 3 link Celtic Twist necklace stone set with amethyst stones.Designed by John M Hart. This was another gift from my husband when he visited your studio on Uist. Yet another quality and beautiful design. Just need the earrings now! !